A few weeks ago while at an Outreach/Adoption event, I was disconcerted that so many people called Honor “fella.” I guess it’s hard to tell from a face and I wonder if certain dogs are assumed to be boys and certain ones are assumed to be girls. Anyhow, that got me thinking about all of the fancy trimmings I’d read about for so many adoptable dogs and on a whim a couple of weeks ago, I grabbed some of my granddaughter’s head bands and stuffed them in my adoption bag. I didn’t know who I would be handling that day but these headbands are great because they are so stretchy that they can fit on a variety of sized dogs. After that a sweet reader asked how they were made, so I thought I’d share. 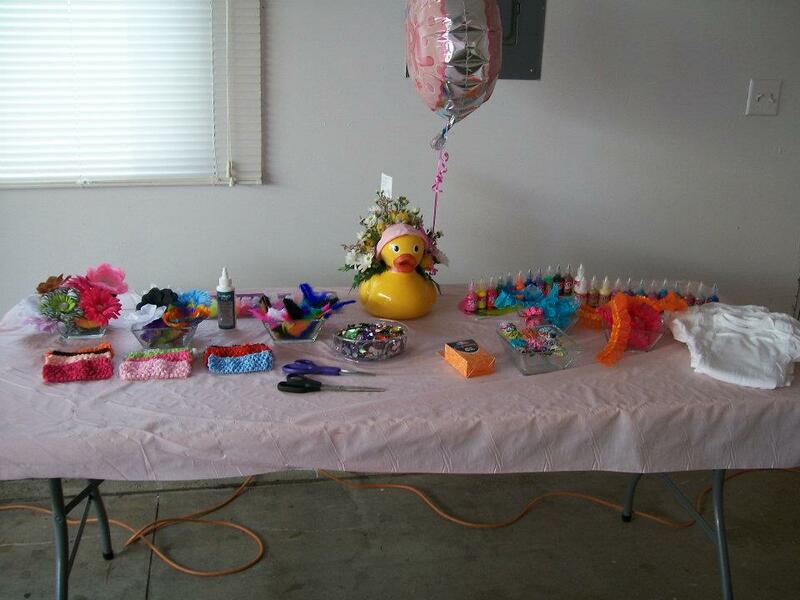 We set up a table full of supplies so that guests could decorate onesies and/or headbands. We bought white onesies in a variety of sizes, the stretchy crochet headbands, feathers, rhinestones, flower tops, glue, puffy paint and other types of trimmings and just let the guest’s creativity run rampant. I got lots of the supplies on ebay where I was able to get some really great prices and variety of supplies. Who knew you could buy stemless flower tops? 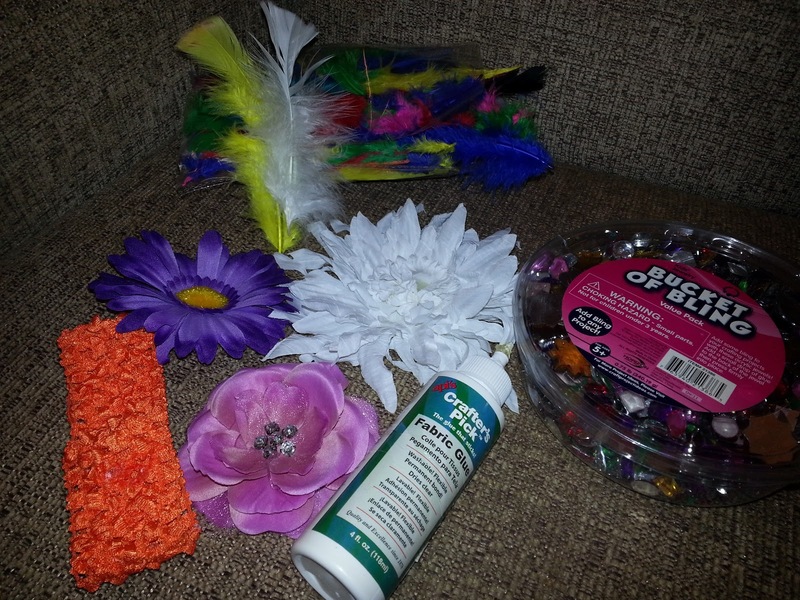 I’m wondering if I can use any of these supplies to figure out a way to make bow ties or some other dudely accessory. What do you think? People think I am a girl…like, a lot. And my mom says that her last dog, Peach, was called a boy all the time. I think this is kind of weird because I am sort of muscley with a big head and Peach was tall and slender with eye liner. We think you are super handsome and have no idea why people are so funny about their ideas on dog genders. We used to bring Madden to adoption events with a pink collar and a pink leash and people would still refer to her as a boy. Taylor got called a boy in a pink tutu!!! It's like ummm seriously? People think all dogs are boys I think! Maybe poodles and smaller fluffy dogs are assumed to be girls… I wouldn't know though.